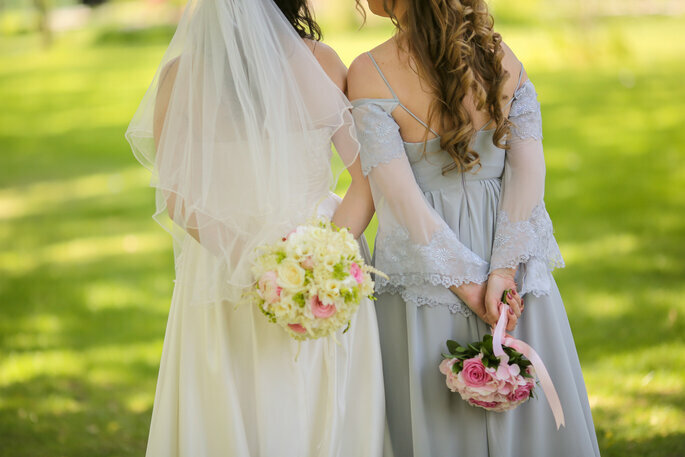 The Maid of Honor plays one of the most important roles in a wedding – not just on the day itself, but in the months of planning that go into the organization of the event. Acting as the bride’s right-hand woman, and as her confidant, you have to make sure that everything goes off without a hitch, whilst ensuring that the bride feels calm and collected as she walks down the aisle. It can be a lot of responsibility, depending on if you’re dealing with a bridezilla or one who is taking it more in her stride, but can also be a hugely rewarding experience, particularly if you’ve been friends since childhood, or if the bride was the Maid of Honor at your own wedding. 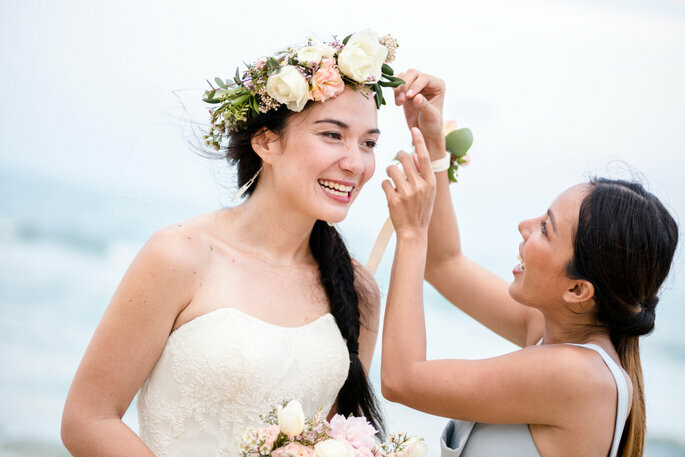 However, most women coming into this role know next-to-nothing about organizing a wedding, and so we at Zankyou have compiled our top 5 tips on how to be the best Maid of Honor possible! As Maid of Honor, you have to be one step ahead at all times. The bride wants to go cake-tasting? You need to have a list of providers, possible appointment dates, and contact details to hand. The bride has lost that cut-out picture of the dress from a magazine? You need to have photocopies of it, and details written down of the designer and its features. In this role, consider yourself a beloved P.A. until the big day comes, at which point all of your hard work will pay off. The best way to stay organized as a Maid of Honor is to keep binders, and have paper copies of everything from appointment bookings to decoration ideas. It might be easier to save all of this information on your computer, but it’s always better to have backup in case of computers breaking down or being stolen. Plus, it can become a nostalgic reminder of the time you and your best friend worked together to achieve something beautiful! You’re there to support the bride, but that doesn’t include caving to her every whim. As stressful as the planning process might be for you, it’s about a million times worse for the bride, and anyone under that kind of pressure can be prone to making bad, or hasty decisions. The latter are the ones you want to be most aware of (the former are often subjective!) – if you’re out shopping for a dress, and the bride is choosing a gown because she feels overwhelmed instead of because she loves it, make sure you tell her! The same advice can be given to anyone dealing with a bridezilla. Any bride can slip into going a bit OTT during the planning of her wedding, particularly when she justs wants it to be perfect. However, as Maid of Honor, it’s your job to tell her when enough is enough. If she’s making other people feel uncomfortable, or if she’s being just a bit too mean, it’s up to you to put your foot down. Don’t be afraid to do it – and she’ll thank you later! One of the best parts of a wedding is the hen-do – a time for all of the girls to let their hair down and have a bit of fun together. 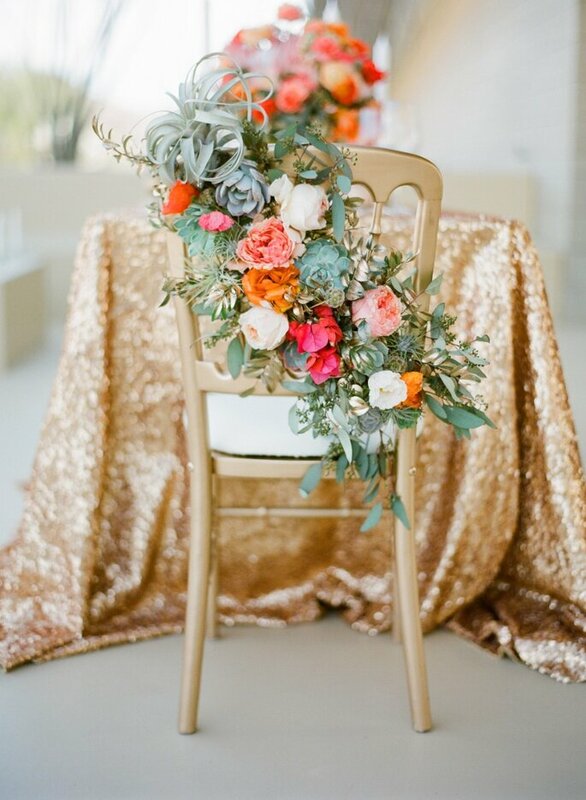 By this point in the planning stage, you’re going to need a night out – or maybe even a couple of days away – to stop thinking about the color of the flowers or the type of veal you’re serving, and just revel in the excitement of the wedding. Make sure when organizing the hen-do that you know what the bride likes: make sure you take her somewhere she wants to go, to do an activity she enjoys (and make sure you know where you stand on strippers!). We at Zankyou love hen-dos, and have lots of ideas for what could work. 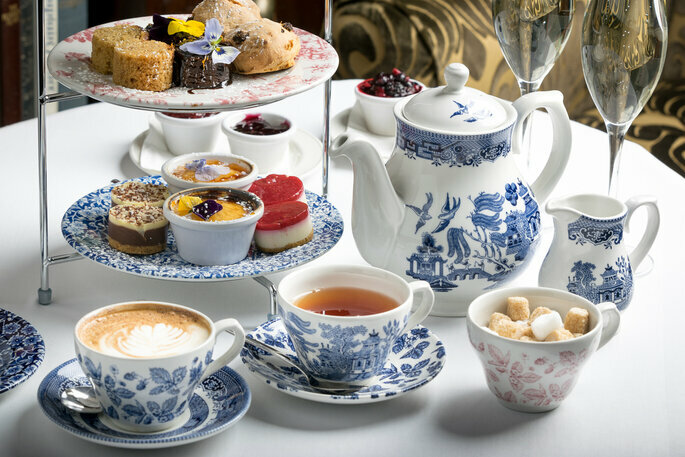 For more modest brides, perhaps an afternoon tea at an upscale hotel would be the ideal way to relax; for more extroverted brides, perhaps a night out at one of the coolest clubs would be much more suitable. Check out what your options are, and then make it an amazing surprise! This should maybe be the number one piece of advice that we give you, but one of the most important things to do in your role as Maid of Honor is stay calm at all times. If the bride sees you panicking, she’ll start to panic thinking that something is wrong, so even if it’s a month before the wedding and the venue has cancelled on you, just keep a cool head and carry on. By no means hide things from the bride if there’s a disaster, but if you can handle it on your own, try and keep it to yourself until it’s resolved. However, if you’re feeling stressed because you have too much to do, make sure you talk to your friend. Being a Maid of Honor is a privilege, but organizing a wedding cannot rest on the shoulders of one woman, no matter how good she is! Your friend will appreciate you being honest with her, and you’ll be able to be much more cooperative if you have good communication. At the end of the day, a wedding is a celebration, so make sure you enjoy the journey there. 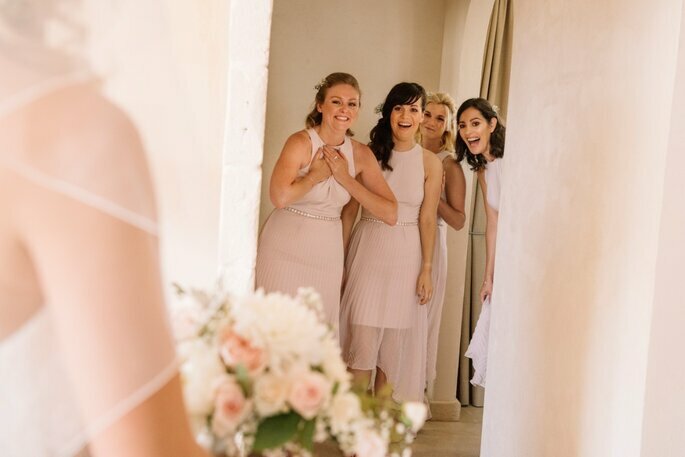 If you’ve been friends since childhood, then planning a wedding together is something you’ve both been looking forward to for years – make this time count! Being a Maid of Honor is a once-in-a-lifetime experience (unless you’re really good at it and word gets around! ), and a chance to get to spend a lot of time with your best friend. No matter how stressful the process might get, it will always be worth it to see her happy. So have fun, and enjoy the time you get to spend together! 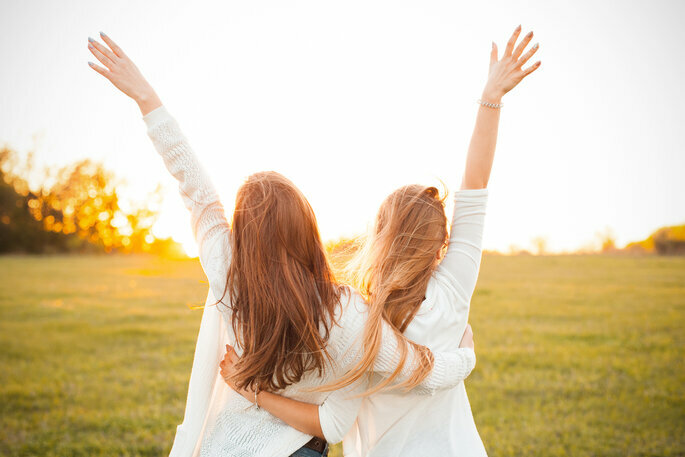 We hope these tips help you to be the best Maid of Honor possible, and that you and your friend can create a beautiful day together!